The vast majority of problems in fluid mechanics assume a no-slip condition at the liquid/solid interface. In the last few decades, a number of controlled experiments have found that the no-slip assumption is violated, however, there is little agreement as to the origin and magnitude of the slip. Our lab uses quartz crystal microbalances (QCM) to investigate the nanoscale fluid mechanics at interfaces. 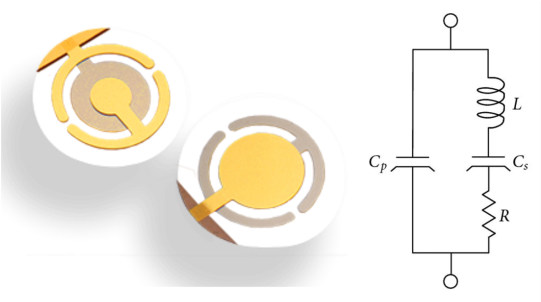 QCMs oscillate in a shear vibration mode, and are ultra-sensitive to interfacial effects. By growing a drop of one liquid (e.g. water) on a quartz crystal microbalance (QCM) surface while the system is immersed in a second, matched liquid (e.g. undecane), we can measure these molecular effects with a high-precision, differential measurement which minimizes systematic effects due to stress, temperature, etc. If the fluid slips or moves along the surface, this will show up as a change in frequency, or a broadening of the resonance. Hydrogel materials have shown promise as viable materials for various applications due to their low friction and bio-compatibility. 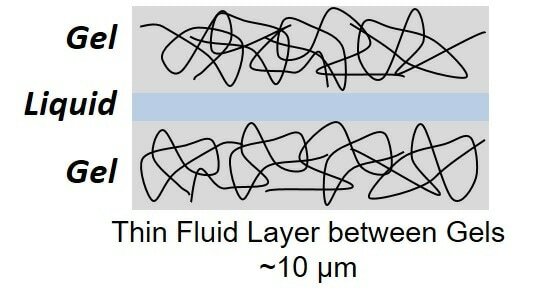 Because a gel consists of a polymer network filled with solvent, its frictional behavior is often explained using a combination of hydrodynamic lubrication and polymer-surface interactions. As a result, the frictional coefficient can vary between 0.001 and 0.03 depending on several factors such as contact area, sliding velocity, normal force, and the gel surface chemistry. 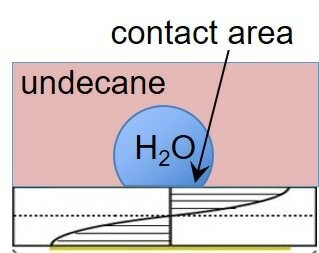 Most tribological measurements of hydrogels utilize two flat surfaces, where the contact area is not well-defined. 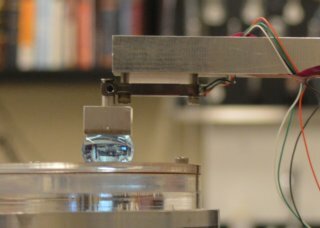 Our lab uses a custom, low-force tribometer to measure the single-contact frictional properties of spherical hydrogel particles on flat hydrogel surfaces under a variety of measurement conditions.